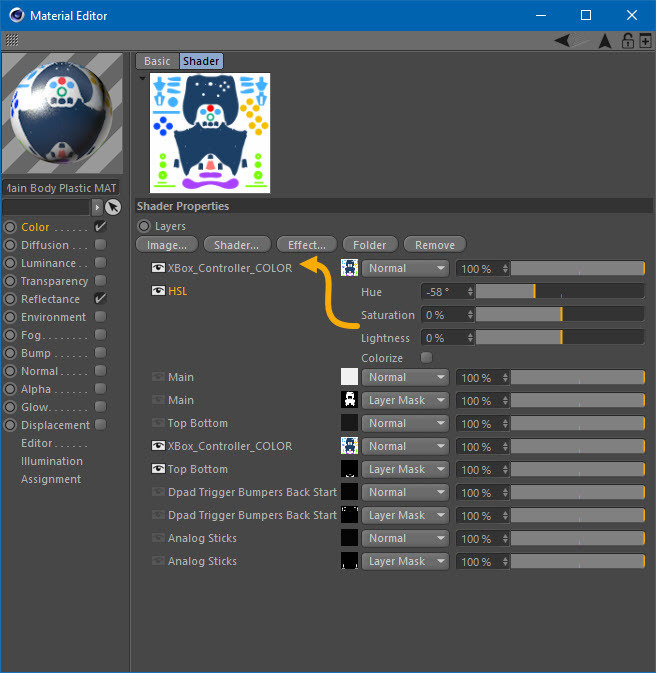 CGTalk | Can HSL Effect in Material Editor be controlled by Mask? Can HSL Effect in Material Editor be controlled by Mask? Hi, when I use the HSL or any effect in the Material Editor, it effects everything that is in a Layer. Can I somehow mask it’s effects? I tried adding a Layer Mask bellow the HSL effect but doesn’t work. I will appreciate any guidance from experts. Hi bdjones, thank you very much for your time. With your help I have figured the setup for my project.